If the idea of exploring the vast oceans of our planet in search of giant gamefish with no boundaries or limitations is your idea of paradise, Pacific HQ is the vessel of your dreams. Pacific HQ is a 95' Custom Jemison Luxury Motor Yacht Mothership capable of long-range adventures and can take you anywhere in the world that big Marlin are calling. Packaged together with Hookin' Bull, a 2004 48' G&S Sportfish that has won multiple awards, Pacific HQ is capable of being self-sufficient for months on end and provides the ultimate experience of truly hunting big game whether they migrate. Pacific HQ is currently being offered for sale by itself for an asking price of $3,200,000 or can be sold as a packaged deal with Hookin' Bull for an undisclosed amount. 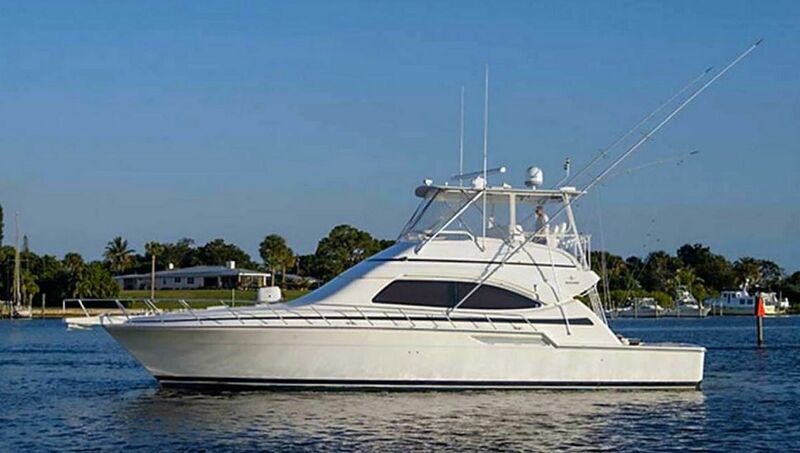 For more information on either vessel, please contact United Yachts broker John Blumenthal at (772) 215-2571. The ability to travel to far-off destinations for fishing, diving, snorkeling, and exploration becomes possible with the diversity of applications that Pacific HQ can offer. Built in 1999, Pacific HQ underwent an extensive re-fit between 2010 and 2012 that included marine offshore and survey requirements to the design of Bakewell-White Naval Architects. In 2018, a further re-fit was completed by Oceania Marine in Whangarei that included two new generators installed and a completely new paint job. Cantalupi lighting was also installed throughout the entire vessel. Currently based in New Zealand, Pacific HQ is the ultimate luxurious mothership with the capability of long-range trips to anywhere in the world. She is considered to be in excellent, "turn-key" condition and has been maintained to the highest possible condition. Whether entertaining guests for a short time or embarking with a group on a fishing expedition, Pacific HQ has the luxurious accommodations to help you relaxed after a long day in the sun. 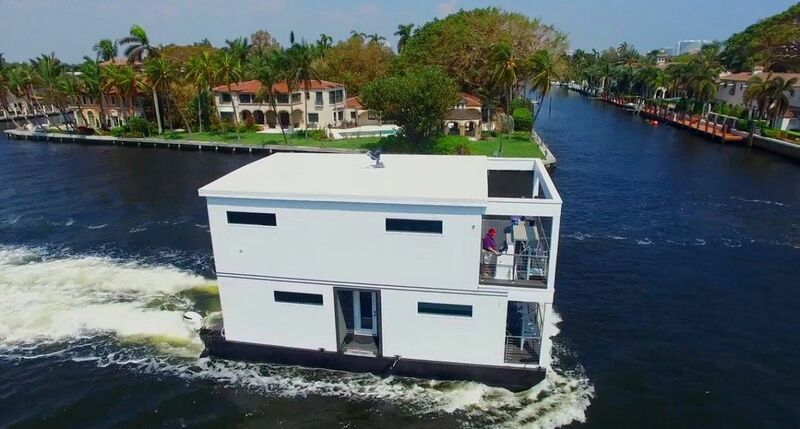 Pacific HQ features four spacious cabins that can comfortably sleep eight guests, however if needed, each cabin can convert to four large twin cabins expanding its occupancy. The master suite is located on the upper deck for some spectacular views from the King-sized berth. The master suite also features a study and a private deck with several sun loungers. Pacific HQ's master stateroom also features a flat screen television, bed side night stands, a win fridge, his-and-hers walk-in wardrobe closets, and ample storage opportunities. Note the extensive windows in the master stateroom that offers great ventilation and an abundance of light. The three additional guest staterooms on board Pacific HQ all feature King-Sized berths that can also be split into single beds. This has an excellent charter application as well should the new owner choose to offer it. All three cabins also include ensuite head and showers, ample storage, A/C controls, ventilation port holes, and ample storage space. All three guest staterooms are found on the lower deck of Pacific HQ. Entertaining on Pacific HQ while not fishing or diving is a breeze with a salon placed aft and connected to the cockpit dining space by a stainless steel door. The salon features a large wetbar, plush leather couches, 55' Samsung flat screen television, and formal dining table. There is a Yamaha RX-V767 sound system with multiple internal and external speakers for ambiance or a full on party. The dining area features Japanese slide doors to separate it from the galley. The bridge on Pacific HQ features a single captain's Offshore Marine Navigator helm seat, wrap-around helm electronics, ZF single-level gear and throttle, and a comfortable crew table that can seat 6 people. The electronics on board include a Furuno Nav Net 3D system, 3 LCD 24" screens, MaxSea Computer System, "Manage My Vessel" Program, Furuno auto pilot, and a plethora of other navigational and performance electronics. Powered by a Caterpillar 3412 671HP diesel engine, Pacific HQ's engine room resembles that of a large ship. There is ample room to walk around and service the individual components throughout the engine room. Two new Kohler 55 KW 50 Hz generators were installed in 2018. Additionally, there is a work shop on board Pacific HQ that features a work bench with vice, equipment storage, two tool chests, industrial drill press, and a welder among other amenities. Pacific HQ can hold over 26,000 gallons of fuel and over 3,900 gallons of water (plus a water-maker on board) to really extend the long-range cruising capabilities. Hookin' Bull is a G&S Custom Sportfish Gameboat that currently holds 29 world records to her name. Known as the some of the best custom boats in the world for sportfish thanks to their ability to jump and plane in reverse, Hookin' Bull is an excellent addition to Pacific HQ's mothership capabilities. 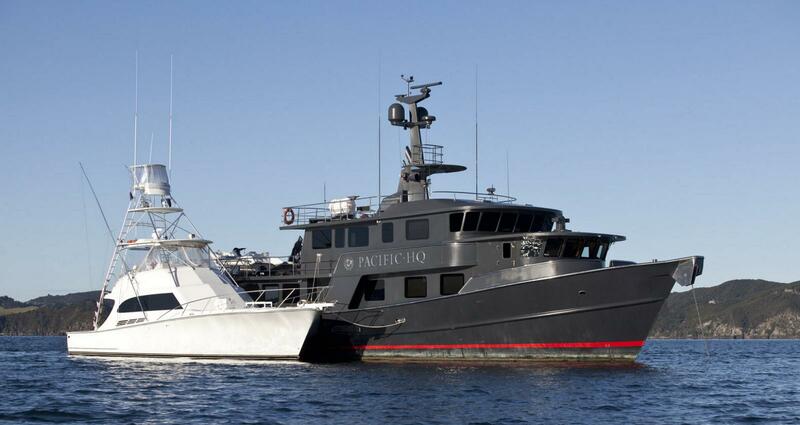 For more information on Pacific HQ luxury motor yacht mothership and Hookin' Bull, please contact United Yacht broker John Blumenthal at (772) 215-2571 or by email at john@unitedyacht.com. United Yacht Sales has the largest network or boat buyers and sellers in the world thanks to a team of over 150 yacht brokers worldwide in more than 25 offices. 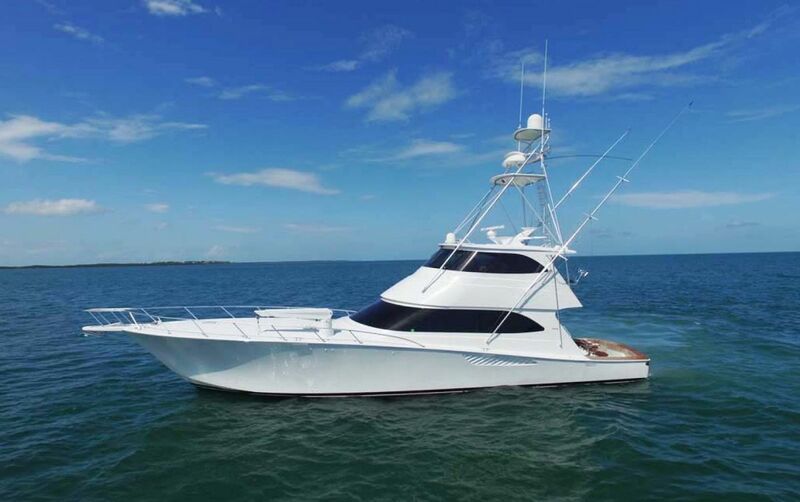 Whether looking to buy or sell a luxury motor yacht, custom sportfish, or other liveaboard style yachts, the professional team at United Yacht Sales can advise you to make the best decision.